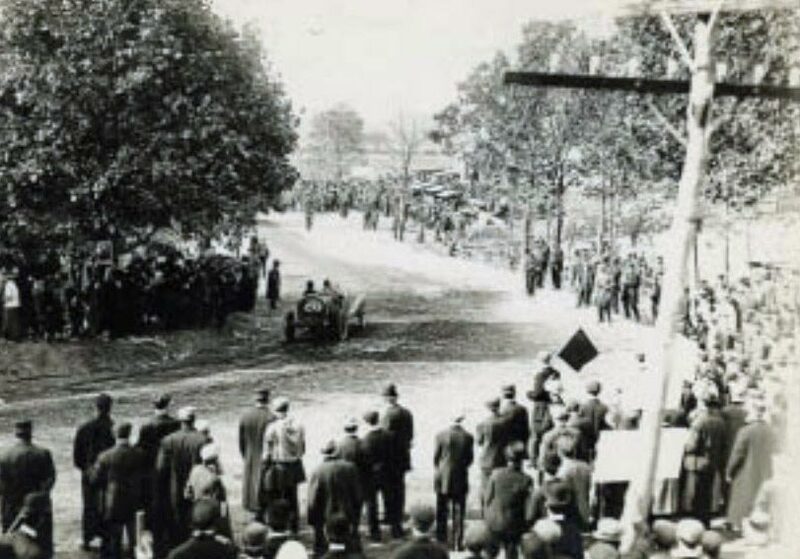 The closest the Vanderbilt Cup Race courses of Long Island Island ever came to Suffolk County was the Woodbury Turn at the intersection of Woodbury Road and Jericho Turnpike. 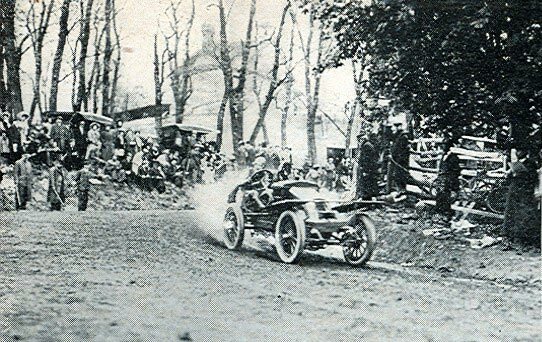 Last week, I asked Oyster Bay Town Historian John Hammond to identify the above building and confirm its location from the 1908 race. 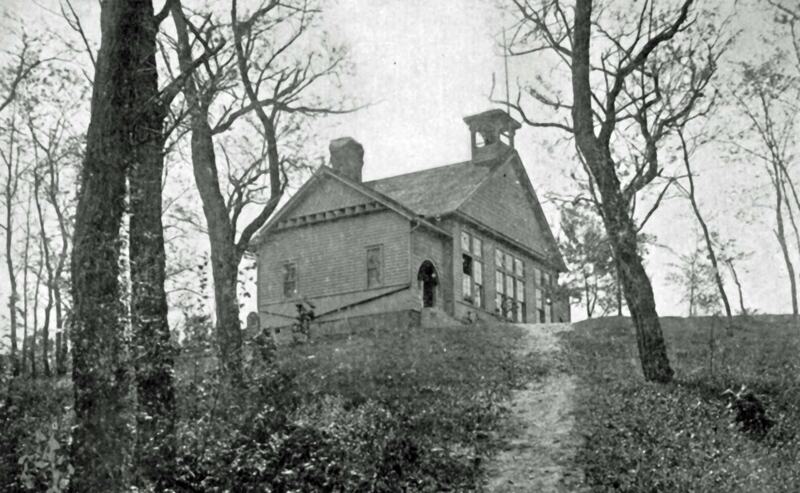 John Hammond: "Here is a photo of the Woodbury School taken from almost the exact same direction as the race photos. 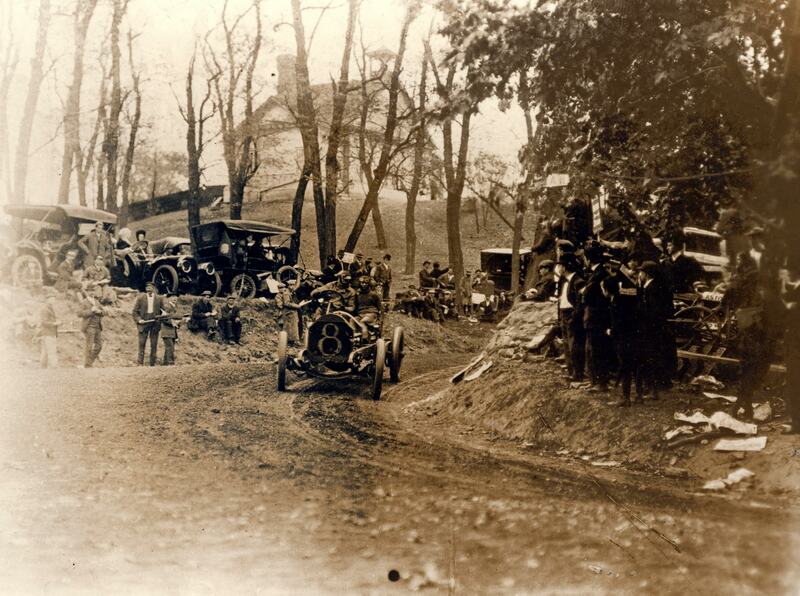 This will positively confirm that the photo was taken at the corner of Woodbury Road and Jericho Turnpike. 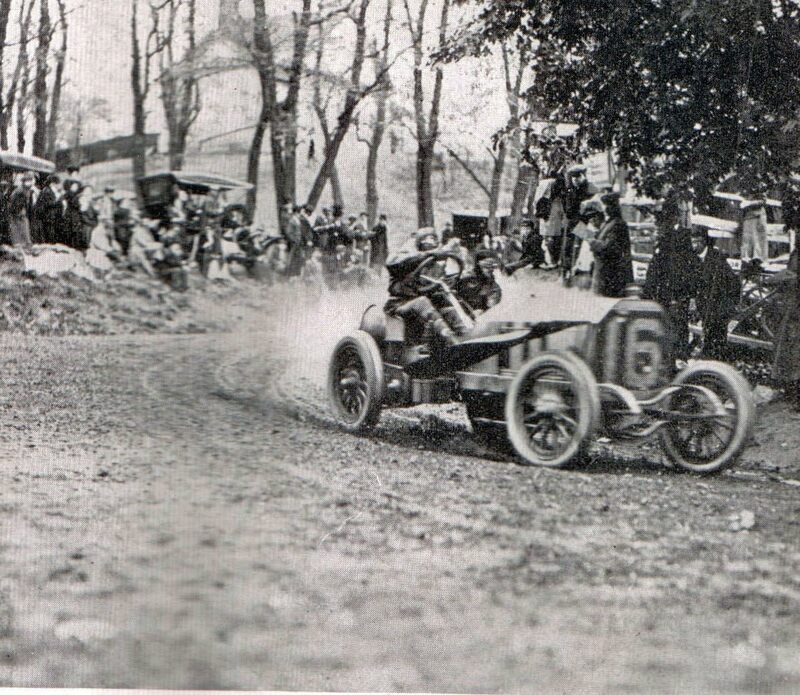 I received the photo from a history friend of mine, Tom Montalbano." 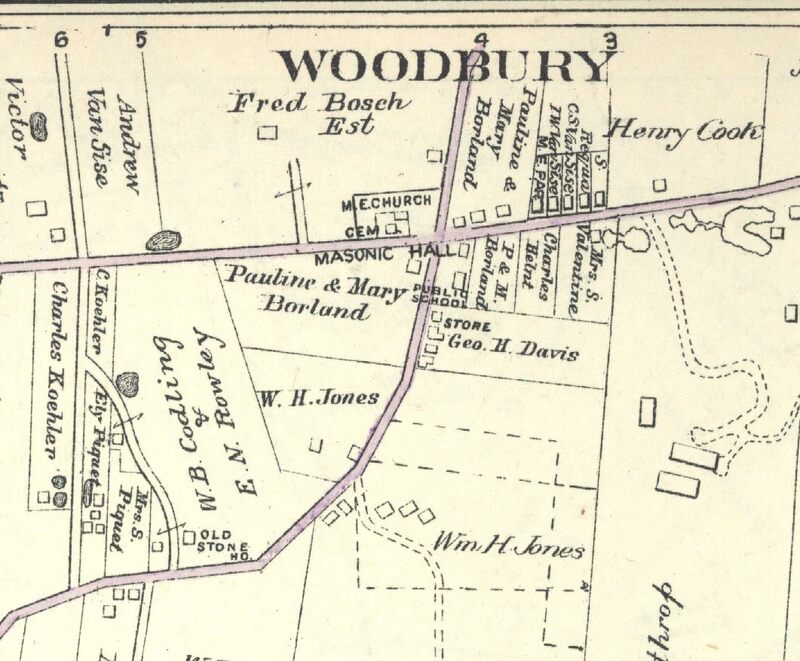 A 1914 Belcher-Hyde map of the Woodbury Turn with the public school and nearby Masonic Hall identified. 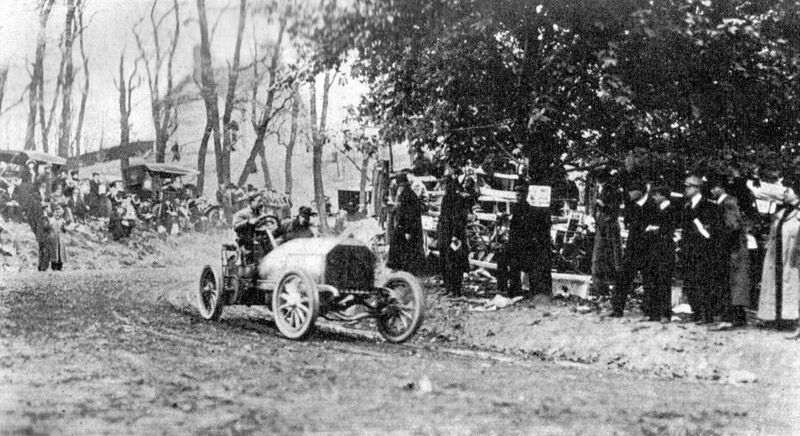 The 1908 racers at the Woodbury Turn The view of the race as seen from the hill at the Woodbury Turn. 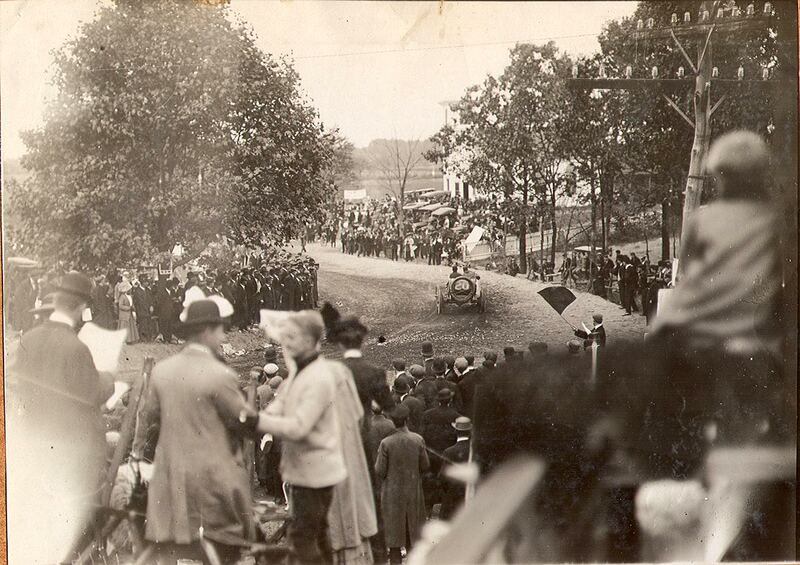 A view from the Woodbury Turn over 100 years later. 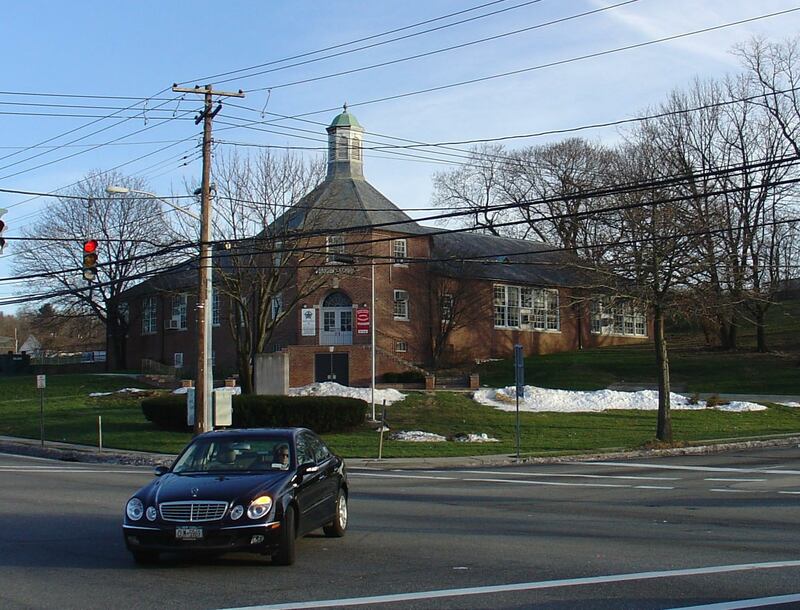 A school administration building serving Syosset and Woodbury schools is located on the hill. Hi Howard, love all the photos you uncover. 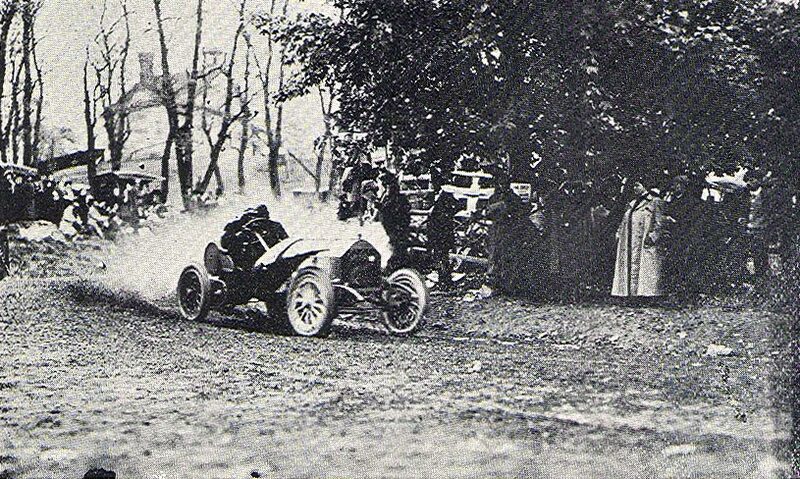 Really puts you right at the location.